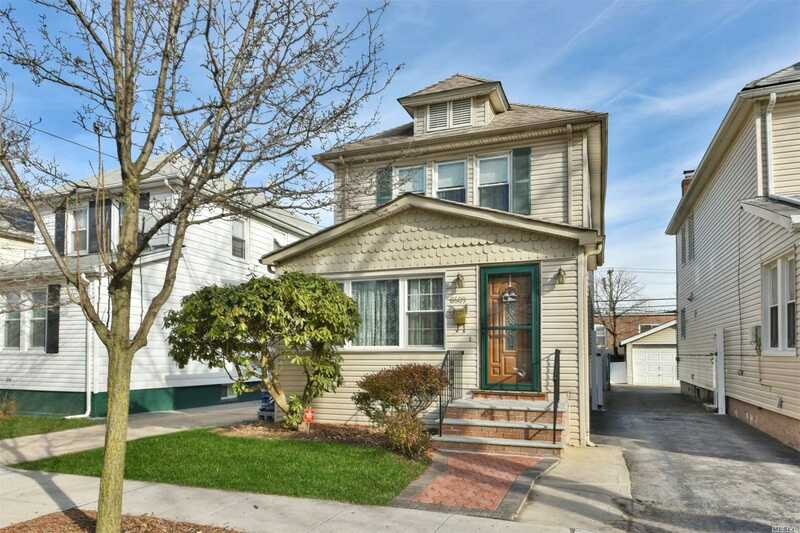 Colonial Home For Sale In Bellerose, Quiet Tree Lined Street Location, Spacious And Newly Painted, Large Lr, Large Fdr, Eik, Room For Bath, Spacious Bedrooms, Master Br W/Wall To Wall Closet Space, Updated Bathroom, New Carpets, New Entry Way And Rear Patio, New Windows, Split Ac, Roof Is 8 Yrs Old And Finished Basement With Back Entrance. Basement: Full O/E, Full, Finished, Laundry And Utilities Room. Floor Plan Level1: Ef, Lr, Fdr, Eik, Large Pantry. Floor Plan Level2: 3 Bedrooms, Bath. Floor Plan Level3: Pull Down, Attic Storage.